New York: Infections during infancy, rather than antibiotic use, as previously suspected, are associated with an increased risk of childhood obesity, a study has found. According to the study published in The Lancet Diabetes; Endocrinology, children diagnosed with an infection during their first year of life who had no antibiotic use were about 25 per cent more likely to become obese compared to those without infections. There was a dose-response relationship, meaning that higher numbers of untreated infections were associated with a larger increased risk of obesity. In contrast, there was no increased risk of obesity associated with antibiotic use during the first year when compared to infants with untreated infections. “In previous studies, antibiotics used to treat infant infections have been associated with weight gain. However, we separated the two factors and found that antibiotics do not, themselves, appear to be associated with childhood obesity,” said lead researcher De-Kun Li, epidemiologist at the Kaiser Permanente in California, US. The type of antibiotics used (broad or narrow spectrum) did not influence the outcomes. 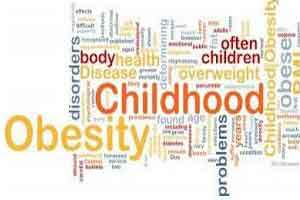 The study, in which researchers reviewed 260,556 births between 1997-2013, has shown that energy imbalance (calories consumed versus energy expenditures) cannot account for the entire increase in obesity in childhood. Both infections and antibiotic use have been shown to influence the composition of intestinal micro-organisms – that can affect metabolic processes and the immune system which can, in turn, affect metabolic processes, growth patterns and weight development. “Our study is one of the largest analyses of the interplay among infections, antibiotic use and childhood obesity, and adds important evidence on how the microbiome, or gut bacteria, may be affecting children’s development,” Li added. The researchers recommended focusing efforts on reducing infections in infancy while being careful in prescribing antibiotics.